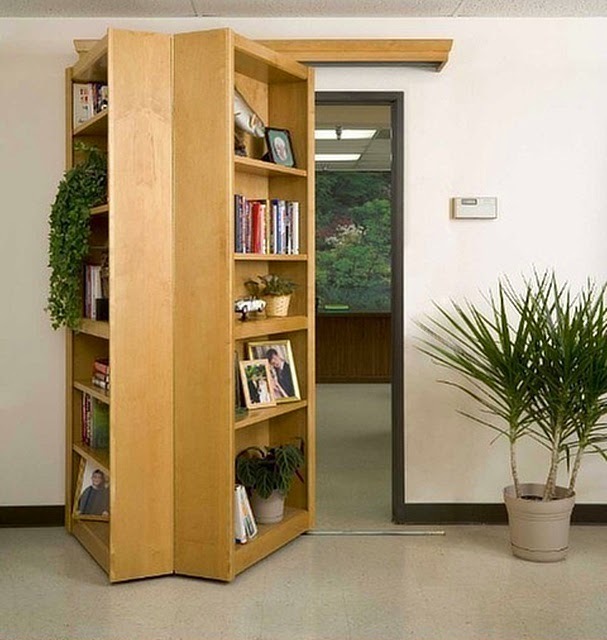 Now you can hide a secret room in your home with this bookshelf that folds open to reveal a secret passageway – regardless of whether it leads to the Batcave or just the laundry room, these secret passageway bookshelves are a must have for any home. 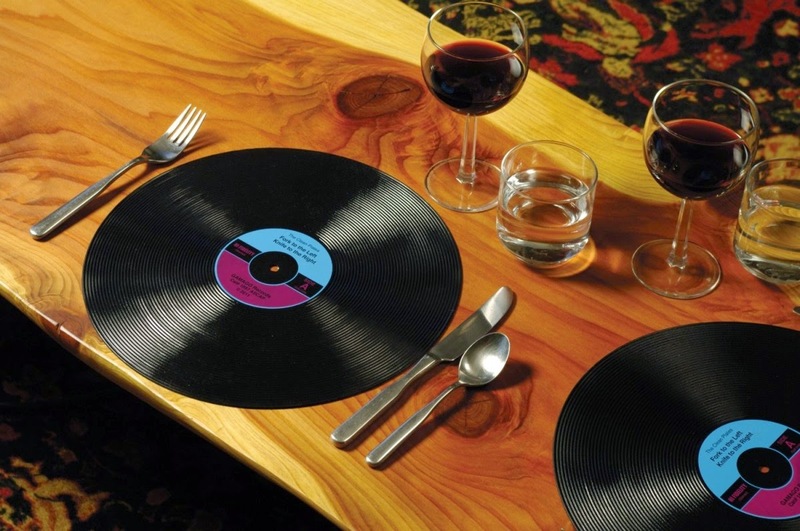 Vinyl Record Dinner Placemats Vinyl records might be an obsolete technology but they function perfectly as dinner placemats. Easy to clean and dishwasher safe, these vinyl record dinner placemats are a great gift idea for the vintage record junkies, and are perfect for music themed parties. 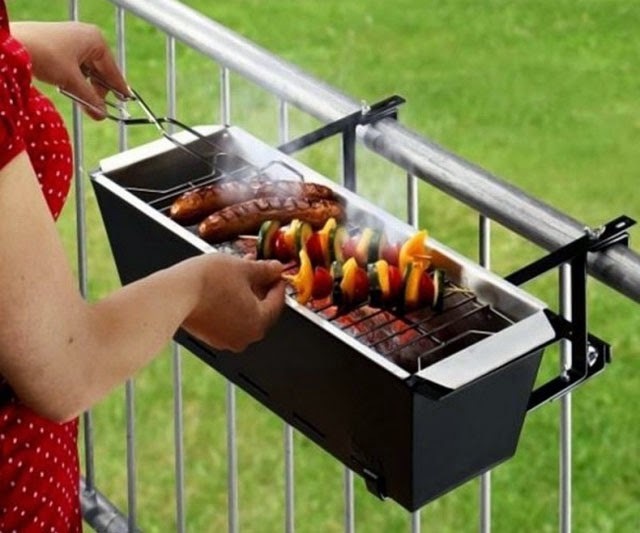 With the balcony barbecue grill you’ll be able to enjoy good old fashioned BBQ even if you don’t have a home with a sprawling yard. It attaches to the railing of the balcony to allow for cooking in cramped spaces without sacrificing any of the delicious flame-broiled taste. Get Mojo the monkey nail blow dryer to assist you during your nail painting sessions and have them dry and beautiful looking in no time! 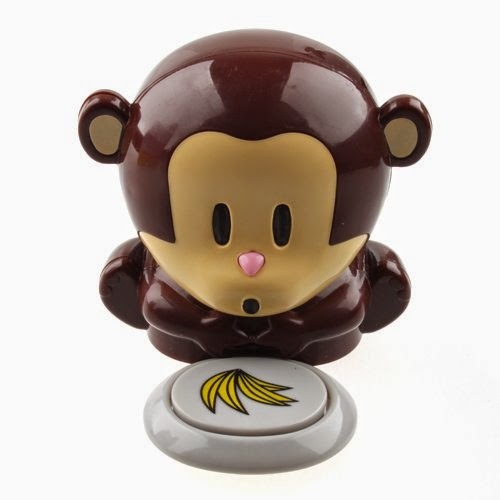 He’ll huff, puff, and dry those nails mighty fast and look darn cute doing it too – all you need is a few AAA batteries to keep him energized. 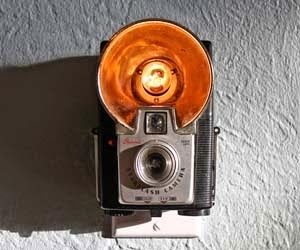 Light up your bedroom with a recycled vintage camera that has been masterfully converted into a nightlight. 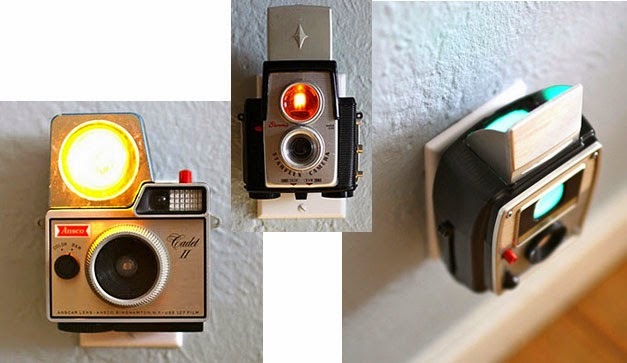 These vintage camera night lights use standard bulbs and even have a sensor that turns them on automatically when the room gets dark at night time. 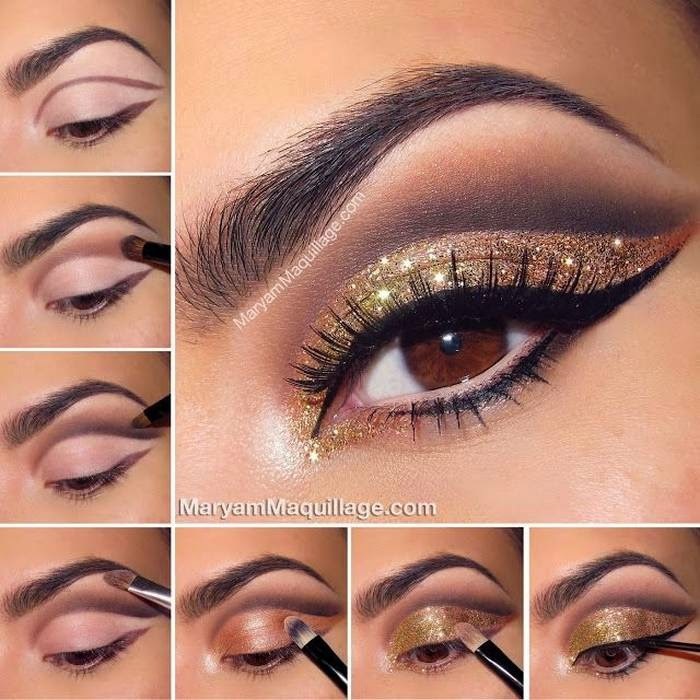 Hello Kitty Contact Lenses Outfit your eyes with Sanrio’s favorite feline with the Hello Kitty contact lenses. 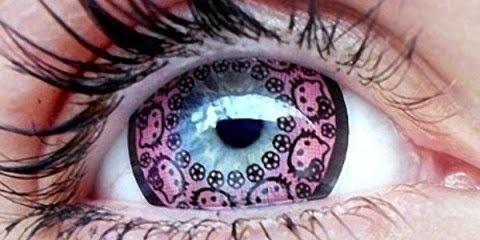 With customized Hello Kitty graphics on the lens, these unique contacts will give your eyes a bright pink hue that will outshine any traditional blue or green eyes in the room. 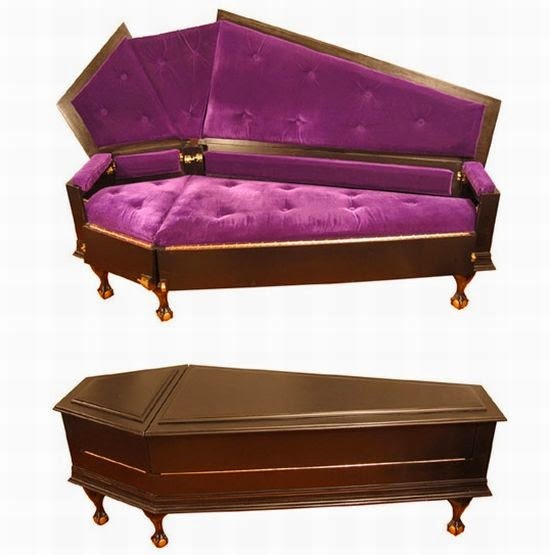 The perfect couch for any aspiring vampire, this coffin couch features a plush violet interior and a hardwood exterior. 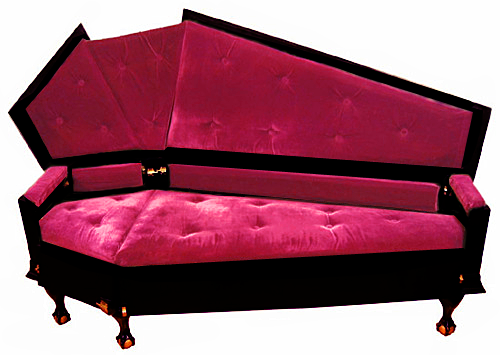 It folds away for day time rest, and opens up at night when its owner goes on the prowl. 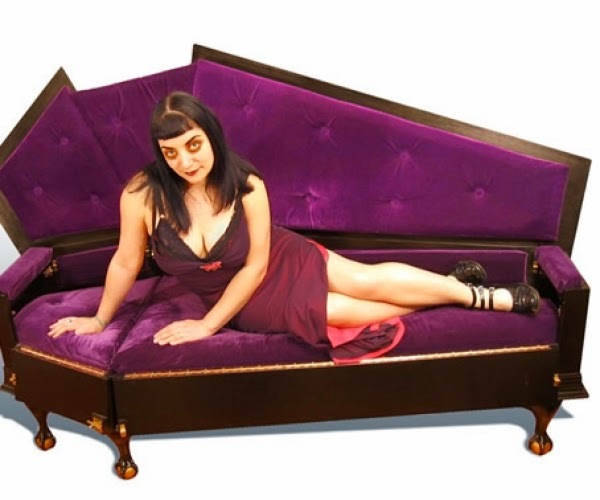 This sofa gives any apartment an Addams family vibe. 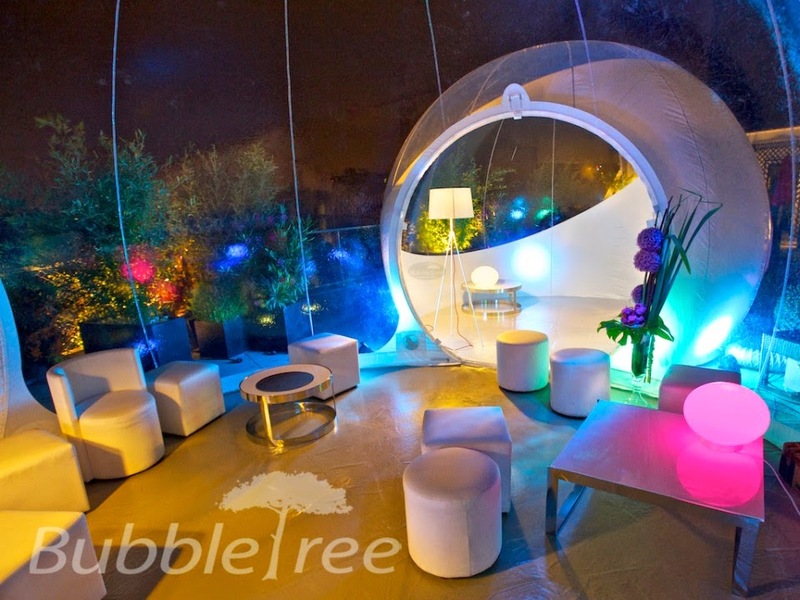 Bubble Tent Enjoy the outdoors while still maintaining a modern interior space with this unique bubble tent. 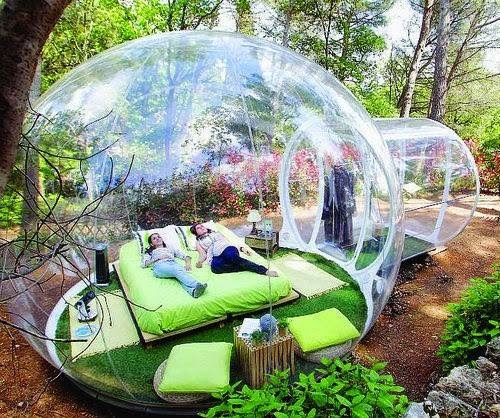 The bubble’s large size allows you to decorate as you see fit and transform a little piece of nature into your private sanctuary of peace and tranquility, minus the insects.